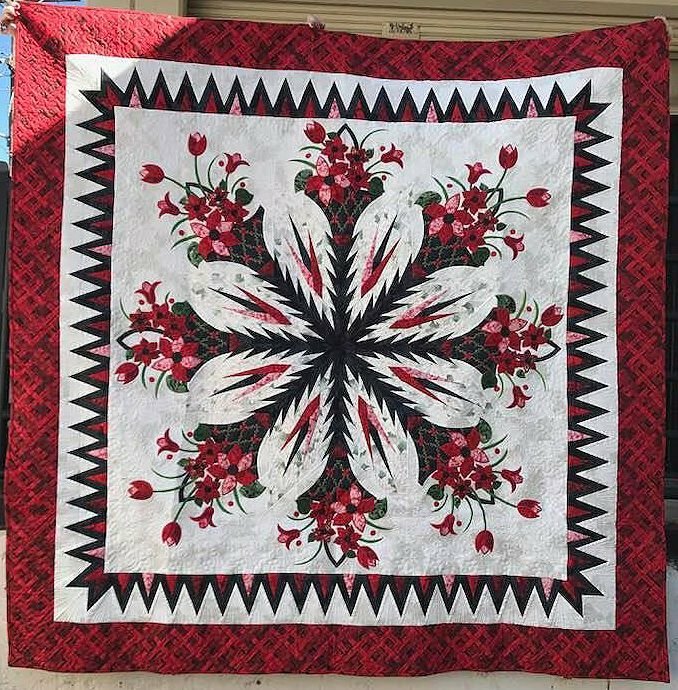 The Poinsettia Bouquet design was created using a series of mixer blocks from the Cattail Wall Quilt Mixer series designed by Judy and Bradley Niemeyer, from Quiltworx.com. It includes three sections referred to as Groups A, B, and C and these Group sizes have been standardized so that you can use interchangeable blocks in each space. Patterns Includes: Instructions, Cover Sheet, Yardage Information, Foundation Papers, & Pre-fused Applique Paper needed for quilt. Includes Pattern & $30 Credit towards fabric purchased for this class only!